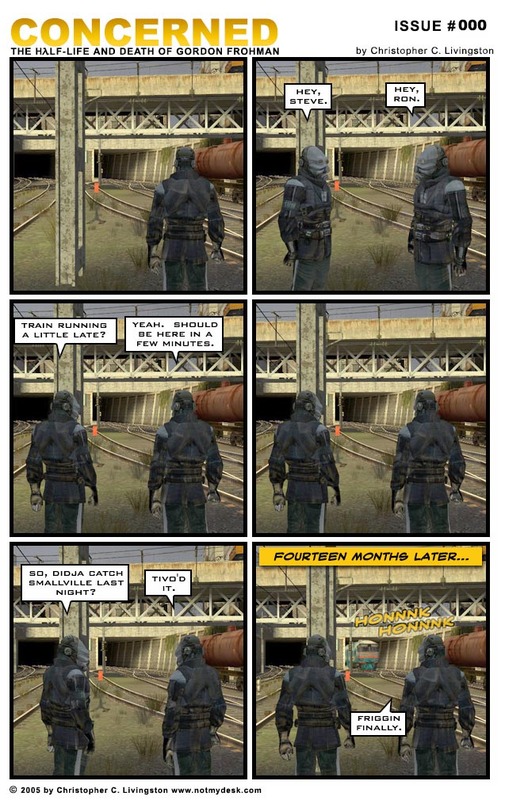 If you've played Half-Life 2, all you really need to know is that this comic begins prior to Gordon Freeman's arrival at City 17. However, many of the comics will be followed by comments explaining the references to Half-Life 2 (since not everyone has played the game) and some notes on how the comics were made. Feel free to completely ignore this stuff if you're not interested, and be warned, many of the comments will contain game spoilers (as will many of the comics themselves). 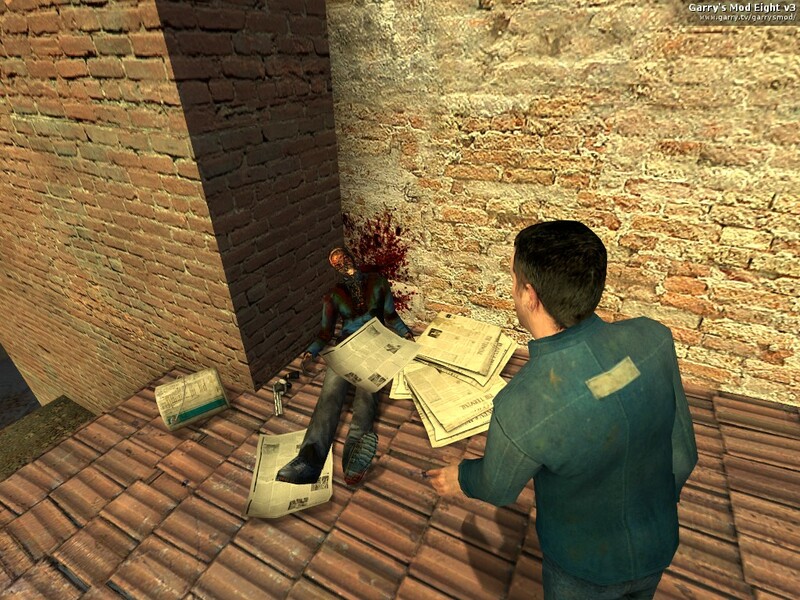 G-Mod or Garry's Mod: Garry's Mod is what I use to construct the comic. 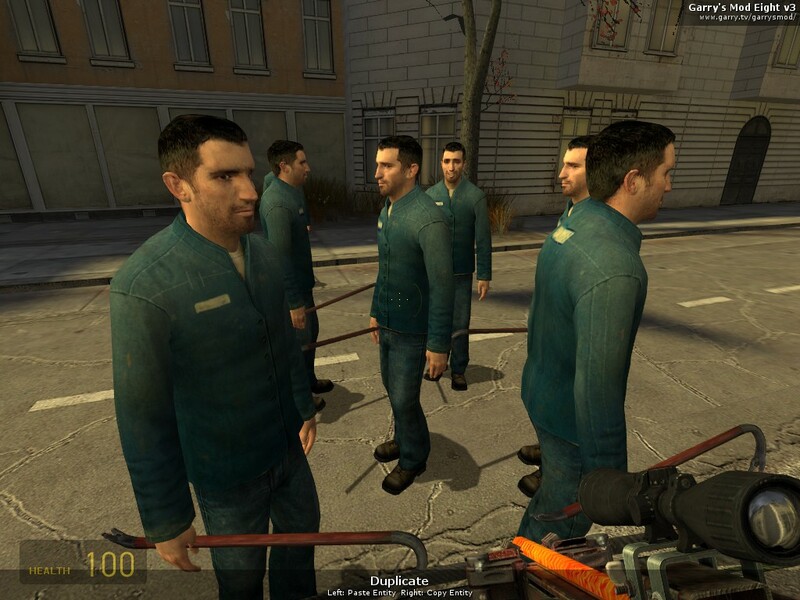 It's a modification to the Half-Life 2 game that allows you to materialize and play around with physical objects inside the game (objects such as crates, cars, weapons, doors, trees, character models, etc). You can add them, move them, lock them in place, weld them together, remove them, paint them, duplicate them, pretty much anything you want. For the comic, I mainly pose the characters in the positions I want, give them facial expressions, and take their pictures. 1) Ragdoll: Basically, a character model that is a limp, lifeless doll. It doesn't move or stand on its own, it's basically the "dead" version of the characters. 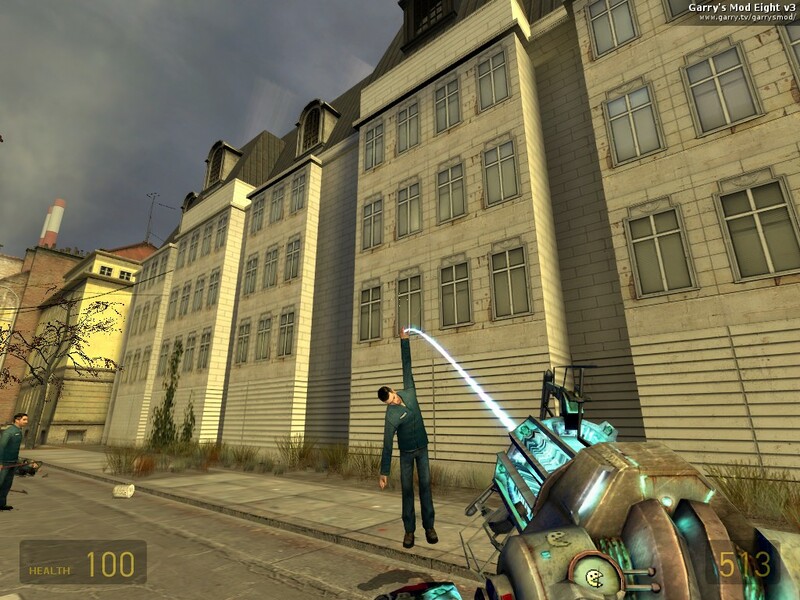 To make them look as if they are living, they must be posed, which entails picking them up and locking them into place with the Garry's Mod physics tool (It's sort of like posing an action figure). You can also add facial expressions. I'll throw together a small posing tutorial one of these days. 2) Live Spawn: This is a character model that is actually "alive", meaning it stands and can move on its own. 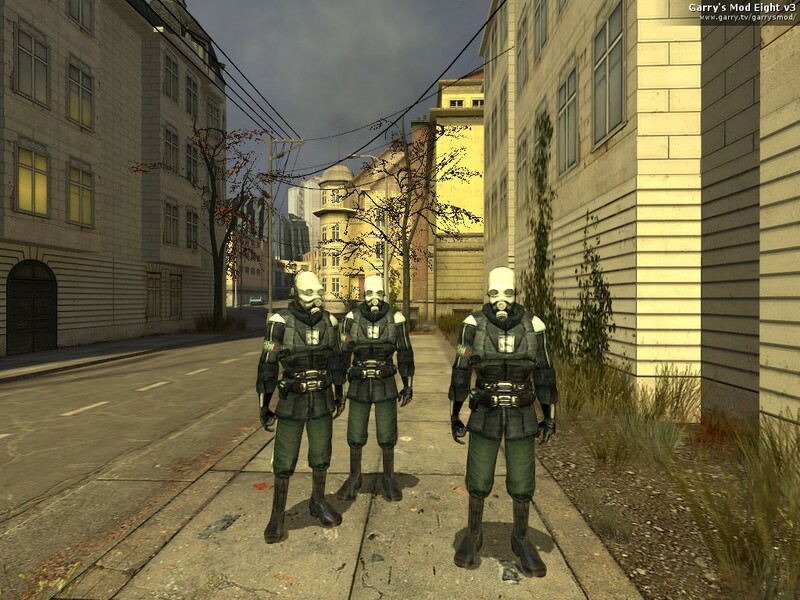 These can be spawned through the latest version of G-Mod, or can be spawned through a console command. 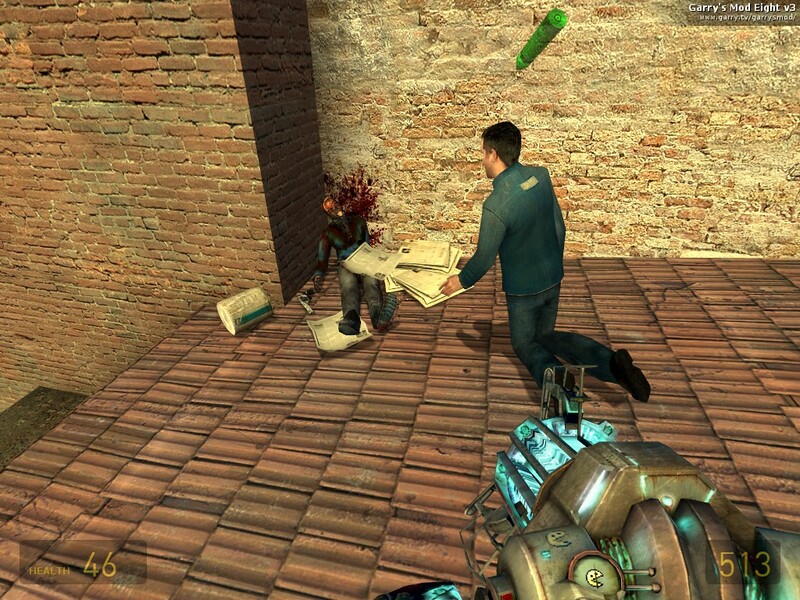 They react to certain things, such as nearby gunfire, other characters or creatures, and can be killed, turning them into (bloody) ragdolls. You can't pose a live spawn but you can change their facial expressions (if they have faces) if you disable the game's artifical intelligence. 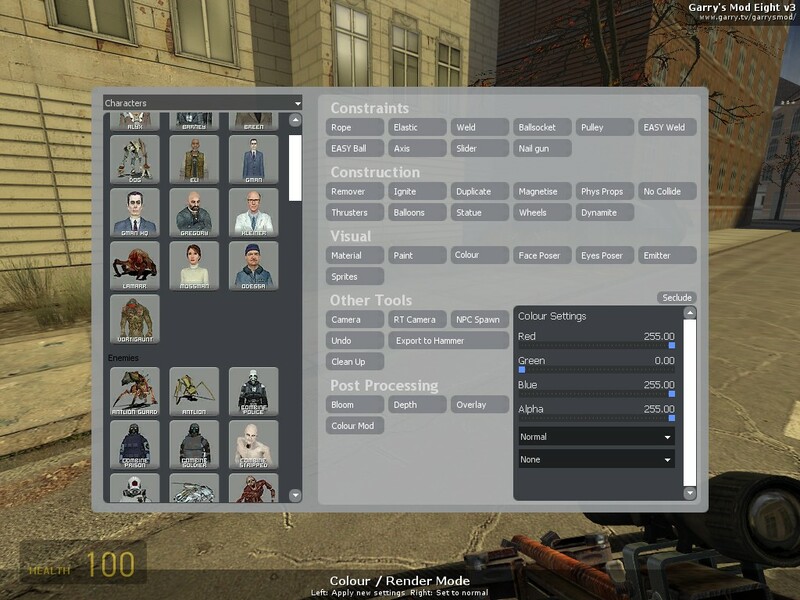 3) In-Game Character: A live character model that already exists inside the game. They may walk around, deliver dialogue, try to kill you, all depending on their preset role in the game. You can't pose them, either, but sometimes they're already in a nice, usable position. Console Command: A typed-in command. For instance, typing 'ai_disable' will disable every in-game character's artificial intelligence, so they'll just stand there mindlessly. Spawn: Basically, adding a character or prop to the game. 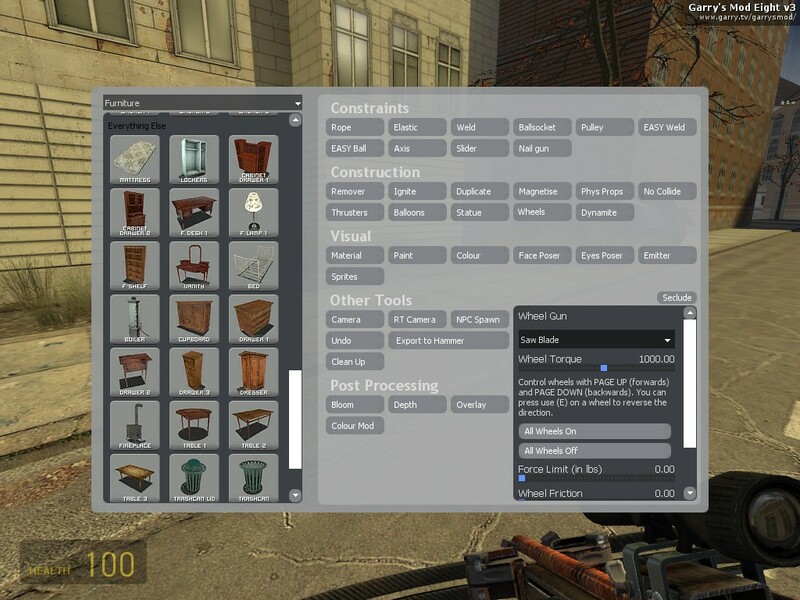 G-Mod has a nice spawn menu but some things can be spawned with a console command. Static Camera: There are a couple ways to take screenshots in the game. You can just snap one from your point of view, or you can position a fixed, remote camera, move yourself to a different location, and take pictures through the fixed camera. This is useful for keeping your framing consistent while you reposition ragdolls, change facial expressions, or do anything else you need to do. Here's a picture taken with the static cam, and a shot where you can see the static cam that's been placed to achieve the framing (the static cam is the floating green thing). 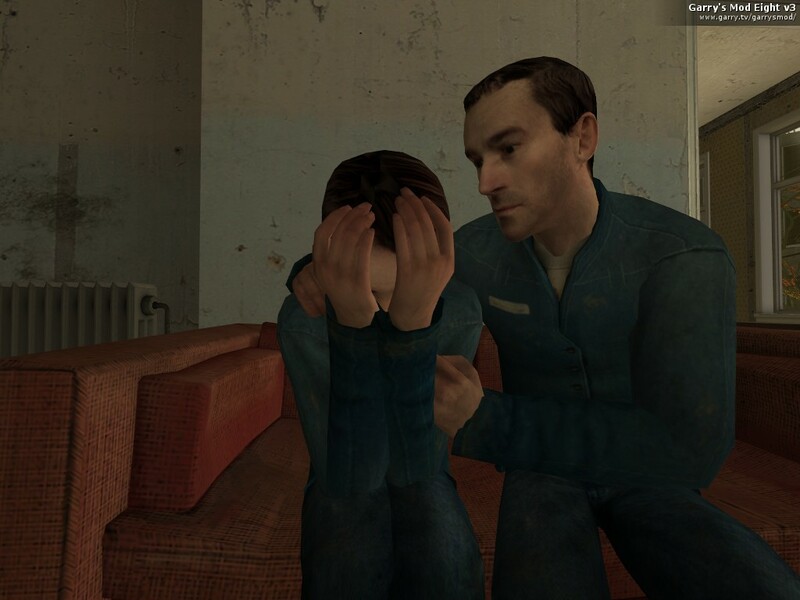 Both Half-Life and Half-Life 2 begin with the player riding some sort of train into a station: In the original Half-Life, it's a tram delivering the player into the underground Black Mesa Complex, in Half-Life 2, it's a train arriving at City 17. 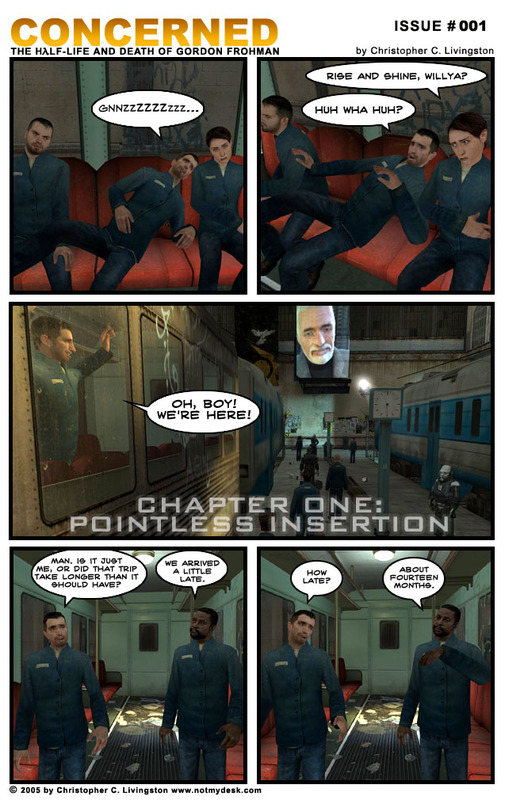 Here's my first version of the same joke, which I later moved to the prologue, but includes a reference to G-Man's (and the game's) first words: "Rise and Shine, Mr. Freeman. Rise and shine." Posing notes: The two metrocops are not posed, but live spawned models. I got them to turn to face each other by positioning myself between them and firing my pistol into the air (in G-Mod 7, spawned models turn toward any gunfire, though they take no other action if the 'notarget' console command is on). So, I'm actually standing in the pictures (just invisible), which are taken through the static camera. If that makes any sense. 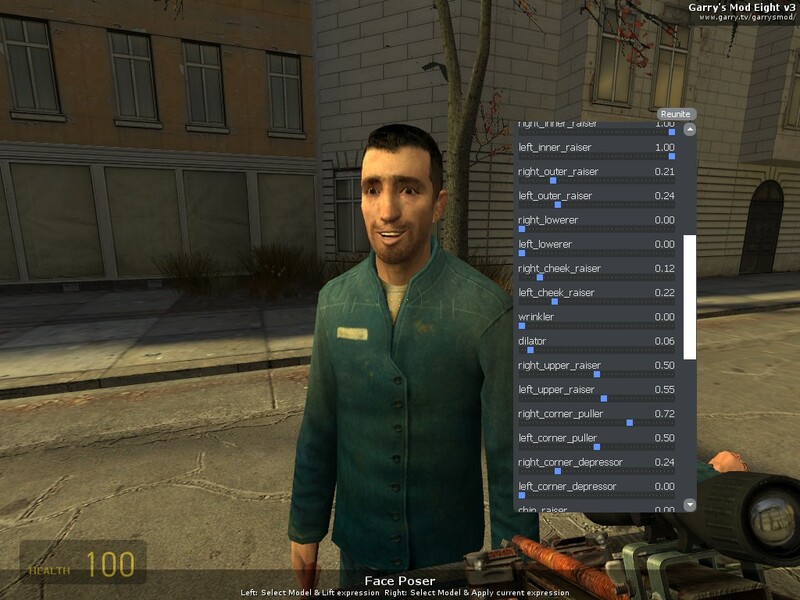 Created with Half-Life 2 by Valve Software, using Garry's Mod. Site navigation powered by spinn.